Starting price is for sectional sofa only. Please, select Coffee table in additional products to complete your set. Coffee Table: L 44" x H 15"
3 Adjustable Headrests, Light On Side of Chaise. New! Quality and Design for great comfort. 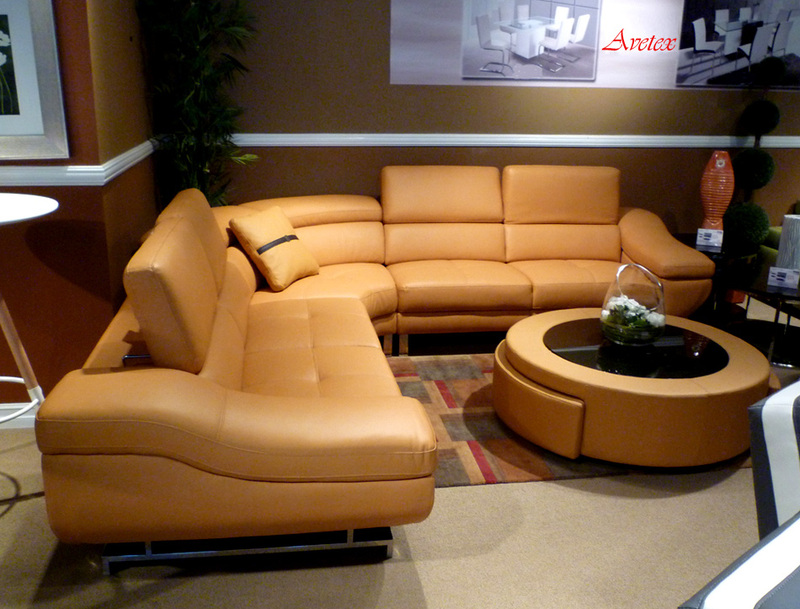 Top Grain Leather, White or Mocca. Adjustable Headrests, Lighted Display In Armrests with Glass Support.